Apple had the consumer in mind when it added a multi-carrier SIM card to its new iPads, said Apple vice president of iPhone, iPod and iOS product marketing Greg Joswiak in a recent Re/code interview (via Fierce Wireless). 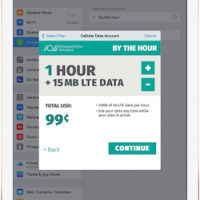 But that motivation does not mean the Apple SIM will be making its way to the iPhone any time soon, as Joswiak noted most consumers go directly to their carriers to buy iPhones, while the iPad more often is sold through Apple's retail channels. 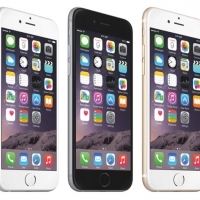 "It's about the customer experience," he said during an appearance here at Re/code's Code/Mobile conference. 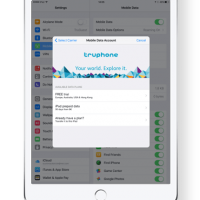 "We ultimately don't know who you are going to use as the carrier, [and] we want to make it as easy as possible." 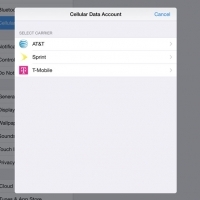 Joswiak said Apple has not discussed putting the Apple SIM into iPhones, but said that because of the way most customers buy an iPhone--through a carrier directly--the Apple SIM is not as well suited. 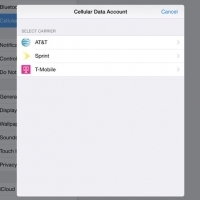 "I don't think you're going to go to the Verizon store and say, 'Can you hook me up with AT&T?,'" he said.With most iPhone customers committed to their carriers for a significant period of time, either through contracts subsidizing the phone cost or through payment plans, multi-carrier SIM cards make less sense for iPhones. 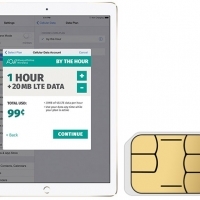 Apple's new universal SIM in theory allows customers to activate with one carrier and then switch to another carrier as needed, but there are some limitations. 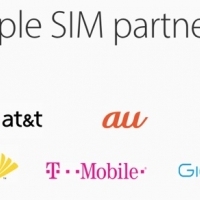 The Apple SIM is currently only compatible with AT&T, T-Mobile, Sprint and UK carrier EE. 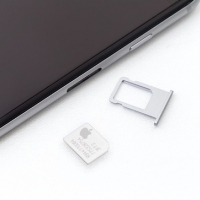 Verizon confirmed that is not adopting Apple's new SIM, instead requiring customers to activate with a Verizon-specific SIM.